The Civil Aviation Authority’s Drone Code regulate all drone flights in the United Kingdom, commercial or otherwise. On July 30th, 2018, the CAA updated the drone code with new limits on flights. 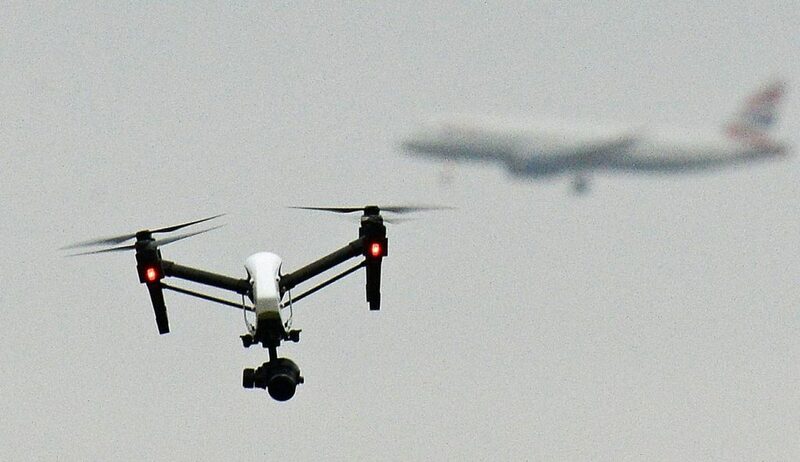 It is now against the law to fly any unmanned aerial vehicle in the UK higher than 120 meters (400 feet) in the air, or to fly within 1 kilometer of an airport or airfield boundary. 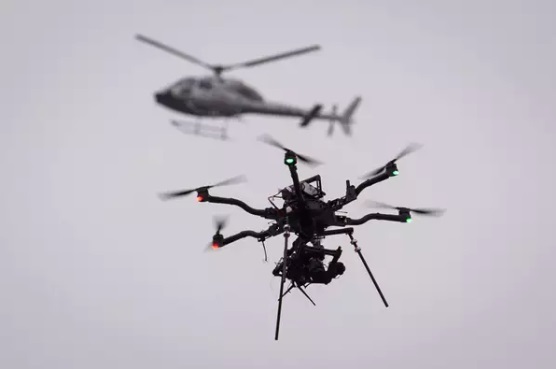 The new laws were first announced in May and were put in place as a response to a year-on-year increase in the number of drone incidents with aircraft, which cause damage to windows and engines of airplanes and helicopters. There were 93 such incidents in 2017 alone, as shown in new research published by the CAA in order to support the new law. The research also showed that 77 percent of all UK citizens and 75 percent of drone pilots felt more regulation of drone usage was required prior to these new laws. Over 2,000 adult citizens of the UK and more than 350 drone users were questioned for the study. Anyone caught failing to follow the Drone Code requirements, including the new laws, could be charged with “recklessly or negligently acting in a manner likely to endanger an aircraft or a person in an aircraft.” This criminal charge could be punished by an unlimited fine, a penalty of up to five years in prison, or both. So all of our UK dronethusiasts should be extra sure not to break these new laws or any of the existing CAA requirements for drone flights! For our part, we at Dronethusiast think the new laws are fair and reasonable. We’re based in the US, where the 400 foot maximum height has been in place since 2014. And the American airport requirements are even more strict, requiring pilots to stay about 8 kilometers (5 miles to be exact) from an airport while flying a drone. However, these laws are most likely only the start of a concerted effort to crack down on drone use in the United Kingdom. Beginning next year On November 30th, 2019, all drones weighing 250 grams or more will have to be registered with the CAA. Part of the registration process will include taking a free online safety test. Parliament is also working on a full drone bill which was originally scheduled for spring of this year but which has been delayed. The height and airport regulations were originally intended to be part of this bill, but were pushed forward via an amendment the 2016 Air Navigation Order because of the immediate risk presented to airplanes and helicopters. The final drone bill may include age restrictions that would ban anyone under the age of 18 from using a drone that weighs more than 0.55 pounds. 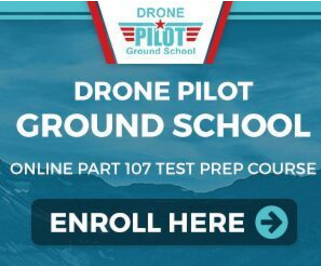 While next year’s new registration requirement sounds like it would be similar to drone registration here in the United States, the age limit is something new. What do you think, readers? Do the new drone laws make sense? Are you concerned about government overreach? Or do you agree with the 75 percent of UK pilots who feel that more regulation is necessary at this time? Let us know what you think in the comments of this article. So am I allowed to fly up to 1 mile from airports, if so some drones software will need updating so that we don’t have to fly any closer than 5 miles from airfields!!! These regulations seem fair and reasonable, in fact the proximity limit of 1 kilometre to airfields here in the U.K. has taken many within the drone community here as a pleasant surprise. Only thing that needs to be done now is manufacturers supplying all new purchases of drones with a copy of the drone code to ensure buyers are aware of them, if not so already. I would like to think that regulations are not needed for our hobby, but as ever, the behavior of a minority affect the majority. Increasingly, I have witnessed people behaving like absolute idiots, so reluctantly I agree that legislation is needed, but I do wonder if these people will bother to comply with it. Other activities and hobbies I am involved in also suffer the “idiot minority” bringing those activities into disrepute and spoiling the situation for the majority of people. Hi Dronethusiast. Thank for my first newsletter from you. I am new to drone operating. I am a mature person (69 years) and received my first drone as a present from my wife two and a half years ago. It was an inexpensive drone (£100) and I found it very difficult to control. After many crashes I gave up trying. I still maintained an interest in drones and chatted to people flying drones. One guy told me that the cheaper drones are great fun but not easy to fly for a beginner. After several weeks of research on YouTube I decided on a Dji Phantom 3 standard. (About £500). This drone is so easy to learn to fly especially in beginner mode and the feature of return to home. Regarding the regulations about flying UAV I can only agree with the CAA. as regards to no fly zones and why would you want to fly higher than 400 feet. There should be a registration for operators, but as regarding a test, as with driving vehicles, it is attitude and not necessarily skill that determines safety.